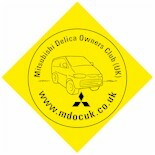 Mitsubishi Delica Owners Club UK™ :: View topic - South Wales (Gower) meet Easter 2019 anyone? Posted: Thu Oct 04, 2018 20:50 Post subject: South Wales (Gower) meet Easter 2019 anyone? A FB member called Simon Hart has posted his regular camping spot at Llangennith on the Gower, and a few are up for a meet - possibly next easter, sometime between March 29th - April 15th 2019. Anyone here up for it? Check your calendars and suggest favourite dates around one of the three weekends! Posted: Thu Oct 04, 2018 20:50 Post subject: Google Ads keep this community free to join! Looking at Simon's night-time picture, I suspect you pitch as close to the back of those big, grassy sand dunes as possible. Having 4wd may enable us to get even further in among them! Need to check if there's a reduction for 1 man+van - gate prices start from 2+ tent/vehicle. I'd be interested. Probable - but depends on situation / availability closer to the time.